It's said that the good (and bad) that we do in life will be repaid to us, oten from unexpected sources. It's also said that similar events surrounding us in life frequently occur in groups of three. Well I must have done something right recently (yes I'm as surprised as you) because great kindness has come my way … and not once, but thrice! Yes I've been visited by a hat-trick of heroes, each unexpected but welcome and all stalwarts of this forum. First on scene was KRIS KARAFOTAS (click for home page), the bedrock of IBO and with a gift to me of 1500 advertising credits 'for my work on the site'. You can read the message I posted about her generosity here – DOCTOR KRIS'S GENUINELY GENEROUS GESTURE - and Kris's most recent of many superb IBO tutorials is waiting for you at FAMILY OF WEBSITES . Next to arrive at my door was the marketing legend that is TERRI PATTIO (click for home page). Terri had spotted a flaw in my work of which she not only made me aware, but generously provided a free fix. I continue to be amazed and delighted by this superb spirit of co-operation and friendship which exists here and I heartily recommend that everyone pay Terri a visit – it'll be the best thing you do today or any day. You'll find her latest expert input at THE ONLINE AD NETWORK . Then to complete the hat-trick along came DAVE YOUNG (click for home page). 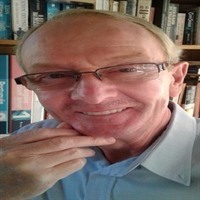 Dave writes short educational articles about business, financial and life awareness and in a distinctive punchy style. This is his blog site page – DAVE'S BLOG SITE – and on it he is promoting my MASTERING THE ART OF MAKING MONEY paperback. Better still he has featured my work alongside Napoleon Hill, exalted company for me and clever marketing by Dave! His latest fine press release is at WE HAVE THE WHOLE WORLD IN OUR HANDS . Visit my hat-trick heroes, spend time with them ... you'll be the better for it.